Over the last few years – and several Christmases’ and birthdays’ worth of present requests – Gabriella has accumulated a fair bit of music hardware. She has a loop pedal, a microphone, a midi interface thingy and other gizmos that I can’t even name. She’s using a British TV as a giant computer screen (British TVs don’t work here so it was languishing in a corner), and for her birthday this year she was given the recording software that professionals use. 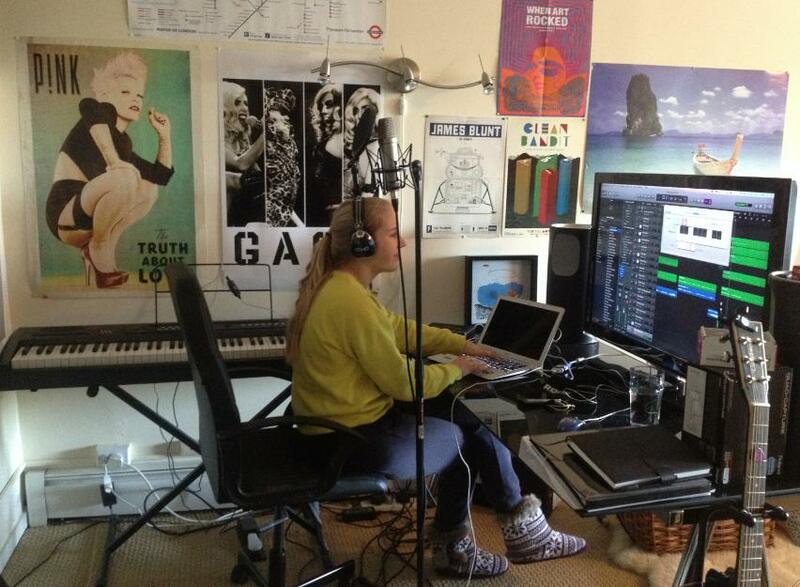 Her studio looks convincingly cool. Gabriella intends to upload all future songs to her SoundCloud account, so feel free to follow it by clicking the orange “follow” button. Absolutely. Please use her SoundCloud link. Gorgeous voice and arrangement. Insightful, raw emotion. It moved me. . Thank you. She is wonderful.